Below you’ll find our definitive guide to creating photography packages for your business that will reduce your stress AND help you book more clients at a higher price point.. He needed to create packages for his photography..
Now that I’m focused on helping photographers crush it in business so they can focus on their true work and calling, I keep seeing the same mistakes pop up again and again. Before you dive into this article on photography packages, make sure that you’ve read our Guide to Starting a Photography Business. It will help you determine how much you can (and should!) be charging for your work. You’ll also need it shortly at it gives a bit of context to this article. First, this sounds obvious. I know. But it’s such a common mistake. Second, knowing what your clients want just comes with experience. I can’t tell you in an article what your clients do and do not want and I’m sure you have a much better handle on that than I do. This just comes from experience. Over time, you’ll find out that certain things sell better to couples, other things sell better at events, etc. Constantly be considering what you offer and don’t get romantic about how you make your money. If people don’t ever buy canvases, stop offering them. If everybody is asking for a package with a large image for their home and smaller ones for family, then consider adjusting. Your clientele is 100% unique to you and you need to treat them that way. But now that you know what they want, or are in the process of finding it, here’s what I can tell you: how to find out how to increase the conversion rate on the things they do want. I learned early on in designing high-converting blogs that the more options I gave the visitor, the more likely they were to choose none of them. I like to call it ‘analysis paralysis.’ When we’re given too many options, we choose none. So in my effort to convert visitors into subscribers, sales and clients, I got rid of all of the clutter on my website. No sidebar widgets, social media buttons, plugins, or extra junk. Just the core options that I wanted them to choose from. If you want to create packages that sell, you have to get right to the heart of the matter and keep things simple. I literally have no idea what’s going on here. How am I supposed to read that? It makes me feel like I’m taking the SAT again trying to read charts and graphs. When your photography package sheet is confusing, it looks like you aren’t confident in your prices and you instantly lose trust with your client. It also comes off as amateur and since we’re professional photographers, we need to express that in all that we do, including our packaging. Get ready, because here’s a packaging tip that made Nathan Barry an extra $15,000 that he would have lost otherwise. We’ve already established that having 5-10 different packages and offerings is confusing and, frankly, unprofessional. So then how many photography packages should we offer? In the experiment, people were offered two different kinds of beverage: they were offered a premium beer for $2.50 and a basic ‘bargain’ beer for $1.80. Only 70 cents to upgrade to a much better beer? Sounds good to me. It also sounded great to the test subjects as 80%of people bought the premium beer. So that should be the end of the experiment right? Price a tad higher for a way better product and it’ll see more because you anchored it against a bargain price. Wrong! (and here’s why we offer three photography packages). When they offered a third beer, a SUPER bargain beer at $1.60, 80% of people chose the $1.80 beer. Again, most people will choose your middle package. But why would you do that? Originally 80% were choosing the top beer and now they’re choosing a lower beer. That won’t help me make more money, Brendan! What if we change the pricing around? Instead of $1.60, $1.80 and $2.50, let’s try something else. Let’s drop that crappy beer at the bottom and add a better anchor to the top: a SUPER premium beer at $3.40. You know what happens? Most people still choose the middle, but now 10% opt for the most expensive option. By offering 3 packages and pricing in this manner, with the anchor at the top (again, some people always opt for the most expensive option, no matter the price), the total revenue possible literally goes up 300%. I’m not saying you’ll make an extra $10-20k per year with one small pricing strategy, but it’s possible. By properly bracketing your middle package and anchoring it (we’ll cover more about this in the next section) against the top package in terms of value and price, you can increase revenue 10-20%. 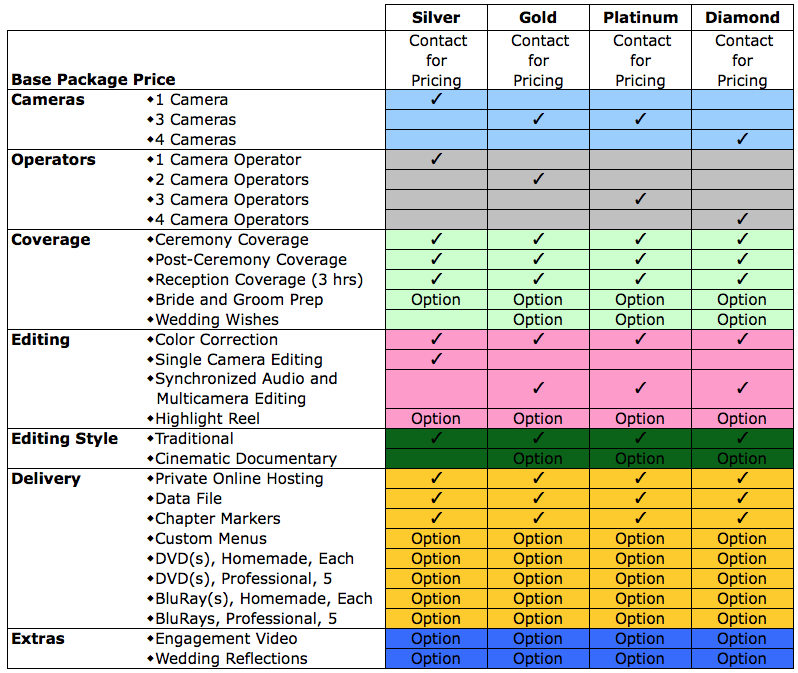 Now let’s talk pricing and the biggest and most common pricing mistakes I see photographers make with their packages. No, it’s not charging too little, although that happens as well. First, if this is new to you, don’t worry. It is literally the most common pricing mistake in the world. What’s cool is it can totally revolutionize your business. The anchoring effect focuses on the relative value of prices. Yes, some people always pick the top package and others always go cheap, but what happens in the middle is where anchoring your packages correctly matters. I like to work with three packages for that reason. People will most often pick the middle package, but now that we have packages that are clear and well-defined, let’s talk about pricing them compared to one another. Don’t forget, all of your packages need to be worth your time. 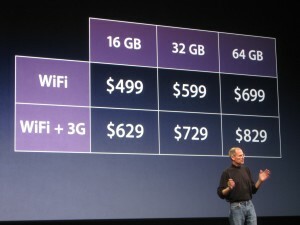 Apple absolutely crushes with this pricing model. Admit it, why wouldn’t you upgrade to double the memory of your new iPad for just $100 more? And since you’re almost spending $500 to get one, why not just spend an extra $200 and have 4x more memory! 400% more memory for $200 more? Sign me up! The idea here is that the base price anchors the other two. Here’s another example of how this works (don’t worry, I’ll explain how this applies to Nathan, and to you, in a second). But How Do I Set My Anchor Without Knowing How to Price? What I want you to see here is that the package that sold the least in total number made roughly 50% of his revenue. When you offer a premium product and service in your photography business, you don’t have to sell as many. If he were to have only offered his lowest price point and still made the same number of sales, it would have netted him $15k less than what he ended up selling. 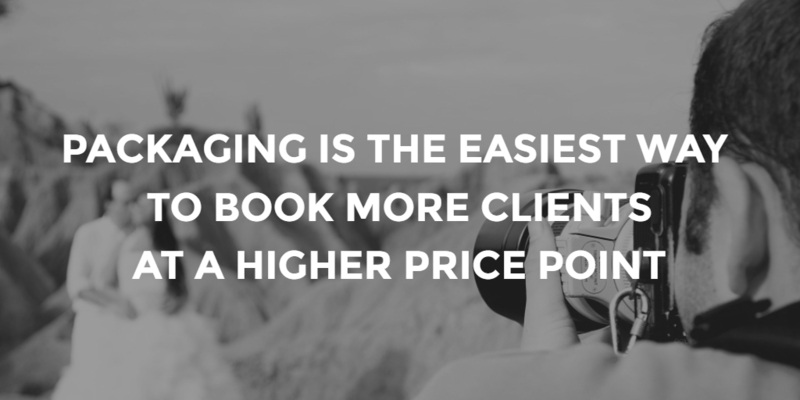 If you’re only offering one photography package in your business, this is exactly what you’re doing. You’re potentially leaving up to 50% of your possible revenue on the table. Packages work in every type of photography. Don’t neglect the ideas in the article because they aren’t standard for your style of photography. Consider how to talk about your packages. Depending on your price point, you might want to consider defining them differently. Please, please don’t ever call them bundles. For some reason it makes me think of my cable bundle and the 2-hour nightmare phone calls with Comcast. Never ‘bundle’ your services. Do the math for your bundles (I’m kidding) to make sure you’re making the most money with the one that’s purchased the most. If your top or bottom photography package is the highest margin, consider how you can get better margins out of the middle package, which will sell the most. If any of your packages have you barely breaking even, change your offering. LISTEN. Don’t be afraid to ask clients questions about your packages and why they chose the one they decided on. 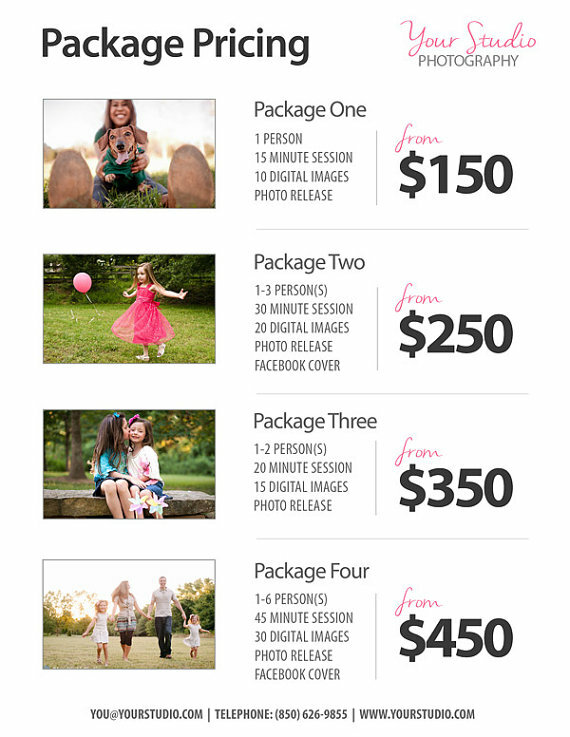 When creating your photography packages, focus on ‘why’ your ideal client would choose each. Does one offer more options to display them in a larger home, or to share with a big family? I’ll be honest, this is hard. But, pricing and sales is the best indicator of whether or not your business will succeed. A year from now you’ll look back on reading this and wish you’d implemented it sooner. Take the next step in implementing this stuff and test what I’ve shared here. This is a highly tactical no-fluff article about creating, pricing, and offering your photography packages, but you still need to test it. Test everything that I tell you because what works for some never works for everybody. Your business is a hypothesis and if something doesn’t work out, adjust and try it again. I can’t wait to hear how this works for you. Let me know in the comments.